Soldiers on horseback. The imagery evokes the classical Western and the hero it so often features. It’s easy to see why the story of the Horse Soldiers was on Hollywood’s radar, never missing a chance to visually set a film apart while also telling an inherently interesting story. Toss in a charismatic lead to slap on the poster, a handful of firefights, and a bunch of banter and that war film is ready to go, clichés and all. In the wake of Sept. 11, Capt. Mitch Nelson (Chris Hemsworth) leads a U.S. Special Forces team into Afghanistan for an extremely dangerous mission. Once there, the soldiers develop an uneasy partnership with the Northern Alliance to take down the Taliban and its al-Qaida allies. Outgunned and outnumbered, Nelson and his forces face overwhelming odds in a fight against a ruthless enemy that takes no prisoners. In what seems like an annual tradition now of rah-rah military movies, that are largely hit or miss, 12 Strong actually balances right in the middle. 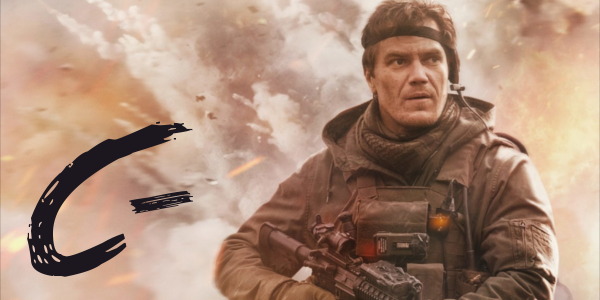 While the story is undoubtedly compelling from the onset, the emotion connections can never truly sink in or grab the audience the way so many good war films do. 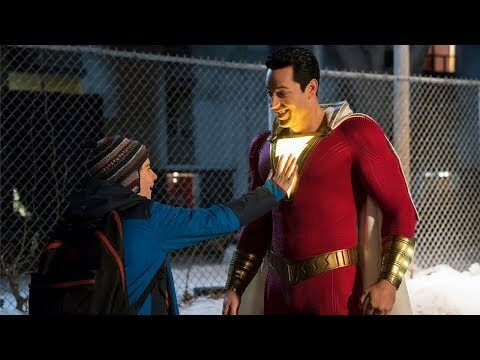 However, the film is largely understated compared to its brethren, yet It still doesn’t quite explore deeper themes that are present. Afghanistan is associated with the place “Empires go to die” a few times, but it never goes beyond some variation of that phrase. But the lack of depth doesn’t stop with the themes as the characters feel equally as simple in nature. Each character feels like they check a box that war films love to hit, another cliché in the long line of comic relief and grizzled men that make up many a war time team in films. Even Hemsworth, stepping into a more commanding role and presence here, doesn’t move much beyond the leader with something to prove. By default, the majority of the interesting moments fall to Navid Negahban as General Dostum. His balance and dynamic with Hemsworth is already one of the bright spots of 12 Strong, but Negahban brings an intensity and, surprisingly, a little bit of charisma to the film. While the battles and firefights are very much typical film warfare, the horse element provides for some interesting visuals, if nothing else. And though the film is littered with timeworn tropes in the character department, the third act brings even more, particularly with dialogue so predictable it feels pulled from every other war film in existence. Though hardly the strongest piece of the film, the final battle, standard it may be, finds a way to be entertaining. 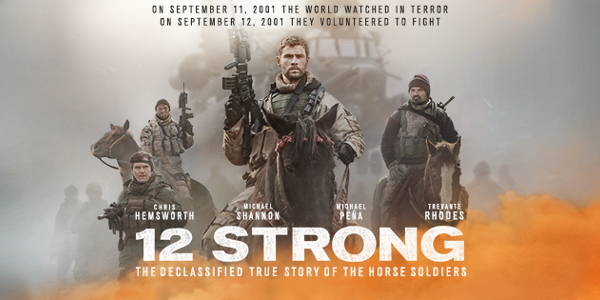 Overall 12 Strong is a decent, albeit unoriginal, Hollywood take on a fascinating story. Hemsworth gets to take the reigns as it were, and show off his sterner presence even if the characterization is weak, but not the weakest by any means. Negahban winds up emerging as the most interesting character of the whole picture, as this figure that’s been fighting in Afghanistan long before the Americans showed up for the assist. 12 Strong is different, as the covert nature of the mission and the tactics utilized are ripe for a film adaptation, just maybe a better one than this.